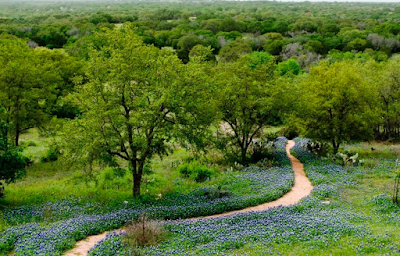 There’s no better way to enjoy the splendor of the Lone Star Spring than walking the trails at Sage Hill Inn. For a few sweet weeks each year it’s a sight to be seen. Travelers from everywhere come specifically to see the fields of glorious bluebonnets and Indian paintbrushes. The heavy rain last fall, and early this winter, have resulted in a spectacular wildflower season. In 1901, the Texas Legislature named the bluebonnet, the state flower. We have the Texas Department of Transportation to thank. In 1932, the department hired Jac Gubbels, its first landscape architect, to maintain, preserve and encourage wildflowers and other native plants along the highways. In fact, there’s even a festival in it’s honor. The 52nd Bluebonnet Festival takes place this coming weekend. Click here for more information. The festival is in Chappell Hill, between Houston and Austin. 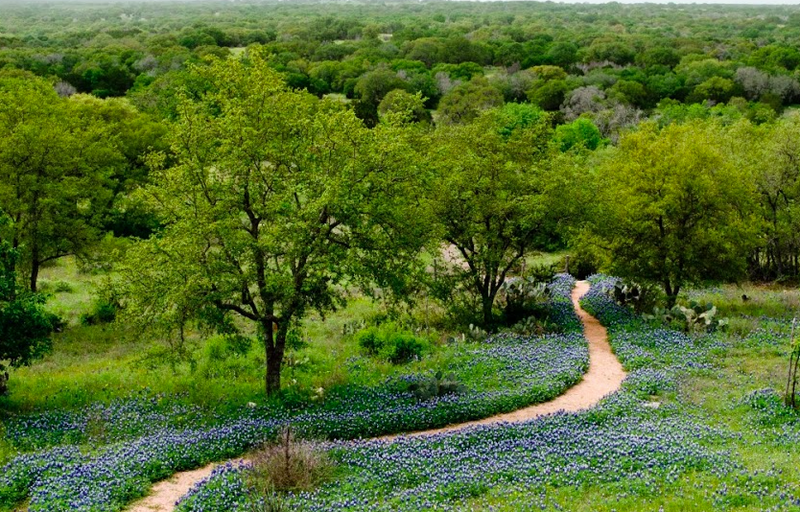 Sage Hill Inn recommends Houston travelers in particular, to visit the festival, then come on out to Sage Hill for our own bluebonnet display, an early week stay at the Inn and a visit to the Garden Spa at Sage Hill Inn for early week (Mon-Thurs) spa specials…receive 20% off all treatments!